Written By San Diego Experts, Our Blog Answers Your Gate Repair Questions! Our team is at your service! Schedule online now! 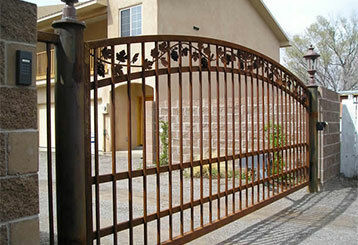 Our company specializes in providing residential and commercial gate repair and installation services. But our experts aren't just satisfied helping home and business owners when they encounter problems. Our team wants to help you in other ways too. That's what this blog is for. Check out the following posts to learn about electric openers, intercom systems, and more related topics. If you recently had a new gate installed, or you want to make your old system last, it's important that you take good care of it. Read this blog post to get some useful maintenance and troubleshooting advice. A sliding driveway gate can offer you a high level of security, but when something goes wrong it can be a major inconvenience. Find out about some of the more common problems you can expect and what you can do to prevent them. With many years of experience behind us, we are at your service! 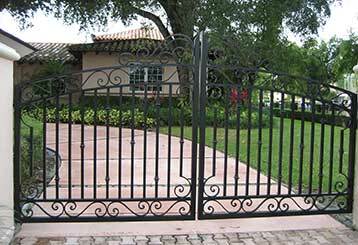 Our range of products includes many of best openers and gate designs available. Is your gate stuck? We will be there ASAP to fix it! With our team, your gate will last for many years to come! Not only are our experts friendly and ready to lend you a helping hand, but they’ve been working in the area for years! This means you can count on them to know the best solution for any problem and that they’ll be able to handle it before you know it. Browse our website for more information and schedule your appointment at any time! Our technician will contact you before arriving. Until then, feel free to browse our website! Gate Repair San Diego is at your service!